“We are writing to express our collective support of the University of Washington’s request for $40 million in the FY 2015-17 state capital budget for the construction of a 130,000 square-foot Computer Science & Engineering building. Profuse thanks to our friends for this support! The Puget Sound region is literally the software capital of the world: more Software Developers (Systems + Applications) are located here, according to the Bureau of Labor Statistics, than in the San Francisco Bay Area. Computer Science is also the field with by far the greatest gap in our state between “jobs available” and “degrees granted.” UW Computer Science & Engineering is by far the leading program in the state at preparing Washington’s students for these great Washington jobs. 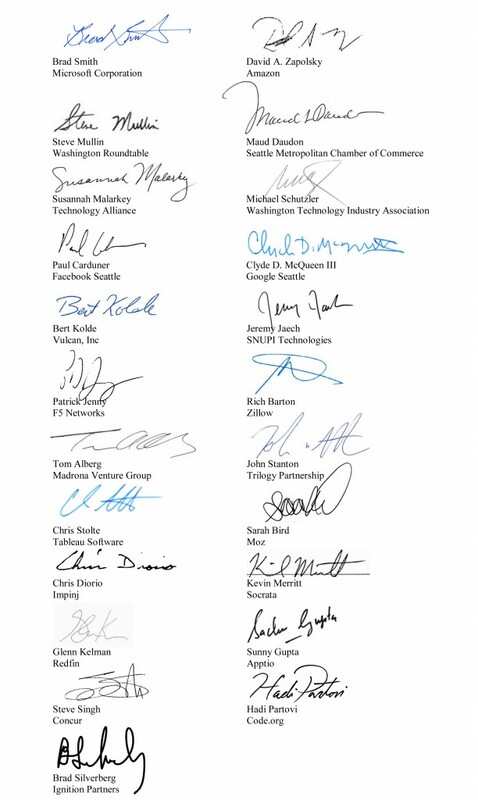 The letter sent by 23 leaders today. A new poll by Washington STEM showing overwhelming voter support for increased investment in Computer Science education at all levels. An analysis of LinkedIn data (very noisy, but still very interesting!) finding that 90% of UW graduates who become software engineers remain in the Puget Sound region. HB 1813, introduced by Reps. Drew Hansen and Chad Magendanz, which would increase access to Computer Science in K-12. Reps. Hansen and Magendanz are also working on a budget initiative that would expand Computer Science enrollment at UW, WSU, and Western. They have really done their homework and are carrying the torch. A presentation to the House Higher Education Committee by UW CSE chair Hank Levy on computer science workforce issues. Washington’s top students deserve the opportunity to become prepared for Washington’s top jobs!